Here’s a little something different Dave Miller’s Mexico. If you follow us here, on Facebook, or on Twitter, you know we are more inclined towards mezcal. 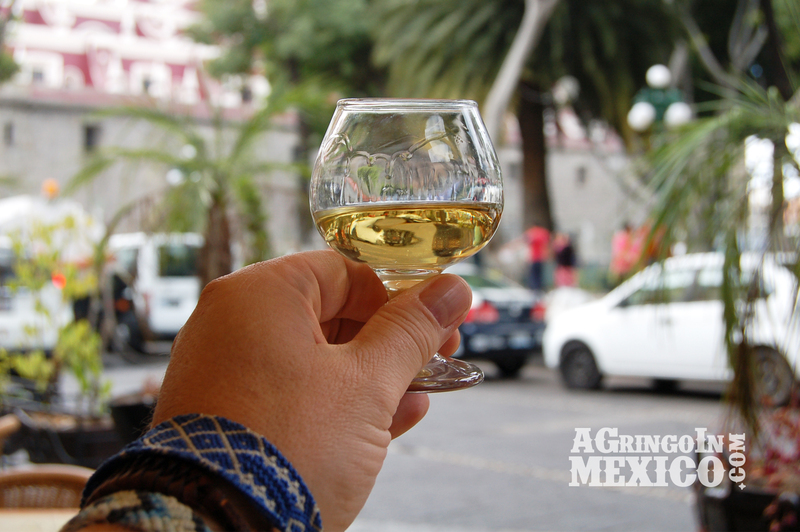 However, most of Mexico goes with tequila like, well, Oaxaca goes with mezcal. So, we’ve started reaching out to our friends who drink more tequila to get their recommendations for you. That means occasionally, in addition to our ongoing 5 Mezcals Everyone Needs to Experience series, we’re adding tequilas to the list. Since technically all tequila is mezcal, think of this as just a little variation on our theme. Our first expert, if we can use that term, is Scott Koenig, who you may know as El Gringo in Mexico. Scott reports on all things Mexico from his perch in Baja California Norte. For a good example of what I’m talking about, check out this gem on traveling in one of my favorite areas, Baja California. So, here they are, in no particular order, 5 Tequilas Everyone Needs to Experience… from Scott Koenig! 1. Jose Cuervo de la Familia Añejo ~ The Cuervo Reserva de la Familia was my introduction to a premium tequila. My gringo amigos crinkle their noses when I mention “Cuervo” as a favorite, not always aware that the company produces a premium line, not just Cuervo Gold. The flavor of vanilla is dominant and the finish is extremely smooth. The box it comes in features a different artist’s work every year. 2. Clase Azul Reposado ~ Former Mexican President Felipe Calderón’s favorite tequila for good reason. Clase Azul is aged in a blend of barrel wood previously used for Bourbon, Cognac and Sherry. This influences the taste that’s reminiscent of a fine liqueur with a hint of agave. I love the hand-painted Talevera carafe – we can’t throw them away. We have three displayed around our home. 3. Tequila Martin San Roman Extra Añejo ~ Not yet available for sale, though seeking distribution, Chef Martin San Roman has a line of premium tequilas produced for him in Jalisco. The chef is an amigo and I had the pleasure of sharing bottle #2 of his extra añejo last year in Acapulco. Aged for 50 months, this fine tequila has notes of citrus and dark chocolate with a touch of anise. 4. “Grandpa’s” Almendrado ~ In Puerto Nuevo, Baja California, shop owners ply browsing customers with shots of almendrado – tequila distilled with and sweetened by almonds. My mom calls it “Grandpa’s Tequila” as most of the shop owners claim their homemade supply comes from “…my grandfather’s agave farm in Jalisco”. Unlabeled bottles filled from a five gallon water jug are for sale. 5. Cazadores Reposado ~ Not one of my top 5, perhaps, but Cazadores is my go-to tequila on a tight dining-out budget, or for casually sipping around the house. For the price and quality, my wife can use it for margaritas and spare herself my meltdown, which is always a plus. I had it chilled for the first time in La Paz in Baja California Sur – it’s light and great sipping on hot days. Nice list. Adri and I have a special connection with the anejo of El Tersoro de Don Felipe. Have you tried it? Ugh, misspelling, sorry. It is El Tesoro de Don Felipe. No worries Ken… with autocorrect these days, you never know what’s going to come out… Thanks for stopping by! Casa Dragones? Best sipping tequila I’ve had…. Dave- I would be glad to, but for a quick response here, as most people who know tequila would agree- Fortaleza is the best Blanco and Repo- Period!! but watch out for G4. * REPOSADO- Fortaleza, El Tesoro, Tapatio and Corazon Expresions Buffalo Trace are Great. *ANEJOS- T1 Estear, Fortaleza, Tapatio, Dos Armadillos, Siembra Azul and Manana are Fine. Hi. I couldn’t help but laugh while reading your description of the tequila in Puerto Nuevo. Reason being is you described my experience exactly, but instead of the shop keeper saying it was from “his grandfather’s agave farm in Jalisco,” it was his “uncle’s secret recipe.” I’ve never been a big tequila guy, except for drinking them in margaritas, but after drinking “his uncle’s secret recipe,” I thought it was the smoothest tequila ever, so I bought a bottle; in an unlabeled wine bottle of course. Almost done with bottle so I did some research, and it led me here. So are you saying that I can just go to any Bevmo or similar establishment and purchase a bottle of Almendrado and it will be virtually the same? I really hope so, because I don’t want to have to drive all the way to P.N. again just for his uncle’s recipe… Thanks for your reply! Well I certainly wouldn’t just buy anything at Bevmo, Total Wine or any of those big box places. Cause here’s the deal… there’s value in knowing where your drink came from and that’s becoming increasingly hard to know. I do think there’s value in getting the “Uncle’s” bottle of tequila, or mezcal. Because it comes with an experience and that is going to color your impression of that drink forever. Ok… Thanks for the reply!